Graham Hancock made this film some 10 years ago before the ruins were uncovered prior to the Tsunami http://www.youtube.com/watch?v=nQZFS9Hij0M&feature=related (Mahabalipuram is discussed31 minutes into the film). Eyewitness accounts of tsunami relics stirred both popular and scientific interest in the site. Perhaps the most famous archaeological finding after the tsunami was a large stone lion, which the changing shoreline left sitting uncovered on Mahabalipuram’s beach. Archaeologists have dated it to the 7th century CE (BBC Staff). Locals and tourists have flocked to see this statue since shortly after the tsunami. 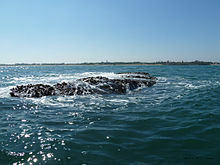 In April 2005, the Archaeological Survey of India (ASI) and the Indian Navy began searching the waters off the coast of Mahabalipuram by boat, using sonar technology (Das). They discovered that the row of large stones people had seen immediately before the tsunami were part of a 6-foot-high (Biswas), 70-meter-long wall (Subramanian). ASI and the Navy also discovered remains of two other submerged temples and one cave temple within 500 meters of the shore (Das). Although these findings do not necessarily correspond to the seven pagodas of myth, they do indicate that a large complex of temples was located in Mahabalipuram. This draws the myth closer to reality—and there are likely many more discoveries waiting to be found. ASI archaeologist Alok Tripathi told The Times of India that, as of his February 2005 interview, sonar exploration had mapped inner and outer walls of the two previously submerged temples. He explained that his team could not yet suggest the functions of these buildings (Das). A.K. Sharma of the Indian Navy could not provide further speculation as to function either, but told The Times of India that the layout of the submerged structures, in relation with the Shore Temple and other exposed structures, closely matched a Pallava-era painting of the Seven Pagodas complex (Das). Archaeologist T. Satyamurthy of ASI also mentions the great significance of a large inscribed stone the waves uncovered. The inscription stated that King Krishna III had paid for the keeping of an eternal flame at a particular temple. 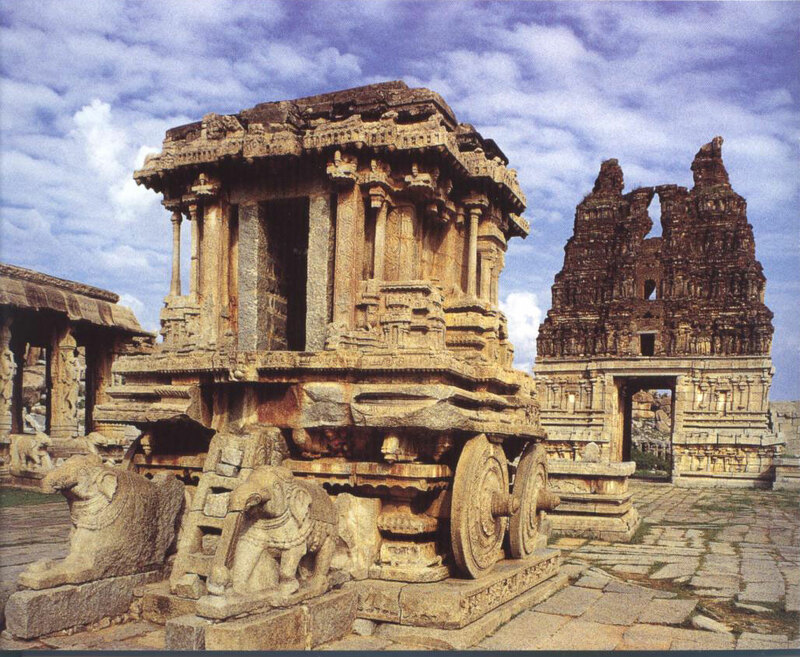 Archaeologists began digging in the vicinity of the stone, and quickly found the structure of another Pallava temple. They also found many coins and items that would have been used in ancient Hindu religious ceremonies (Maguire). While excavating this Pallava-era temple, archaeologists also uncovered the foundations of a Tamil Sangam-period temple, dating back approximately 2000 years (Maguire). Most archaeologists working on the site believe that a tsunami struck sometime between the Tamil Sangam and Pallava periods, destroying the older temple. Widespread layers of seashells and other ocean debris support this theory (Maguire). ASI also unexpectedly located a much older structure on the site. A small brick structure, formerly covered by sand, stood on the beach following the tsunami. Archaeologists examined the structure, and dated it to the Tamil Sangam period (Maguire). Although this structure does not necessarily fit in with the traditional legend, it adds intrigue and the possibility of yet-unexplored history to the site. The current opinion among archaeologists is that yet another tsunami destroyed the Pallava temples in the 13th century. ASI scientist G. Thirumoorthy told the BBC that physical evidence of a 13th century tsunami can be found along nearly the entire length of India’s East Coast (Maguire).